Finding the right provider for dental implants in Allentown can be a real challenge. We take pride in offering the most affordable dental implants for our patients and deliver top-quality dental services designed to resolve your problems quickly and effectively. Our team of professionals can provide you with the dental implants options you need to enjoy the benefits of a bright smile and greater confidence in everything you do. Dental implants are not prosthetic teeth or crowns. They are the titanium screws and posts used to attach crowns, bridges, and prosthetic teeth to the jaw to ensure that they are securely affixed in place. After your dental implants procedure, you will need to wait a few months for the incisions to heal and for your dental implants to seat securely into your jaw or the tissue of your gum. Your dentist may recommend an endosteal or subperiosteal dental implants procedure for your specific set of needs. If the bone density of your jaw allows for it, endosteal dental implants can be placed directly into a small hole in the bone for greater strength. Patients with decreased bone density may require subperiosteal dental implants that are positioned just under the gum line and are held in place by the tissues there. 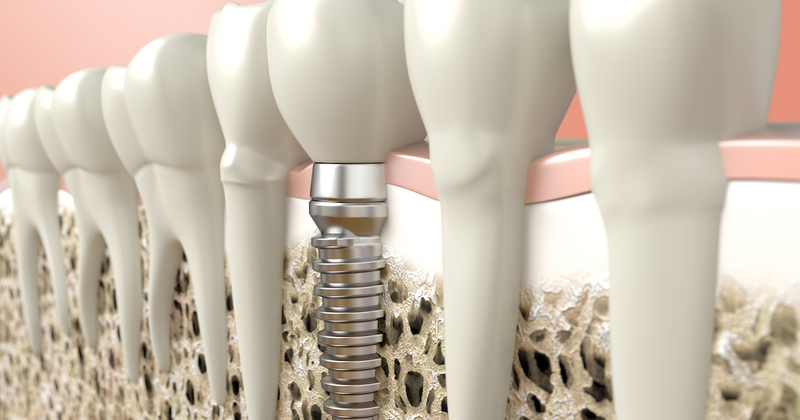 Your best source of information about your dental implant surgery is your dentist. He or she can provide you with an accurate assessment of the condition of your teeth, gums, and bones to ensure the best possible results for you when planning your dental implants treatment. What If My Dental Plan Does Not Include Dental Implants Insurance? Even if dental implants insurance is not specifically outlined in your coverage, we can help with affordable dental implants and expert guidance on dealing with your insurer. 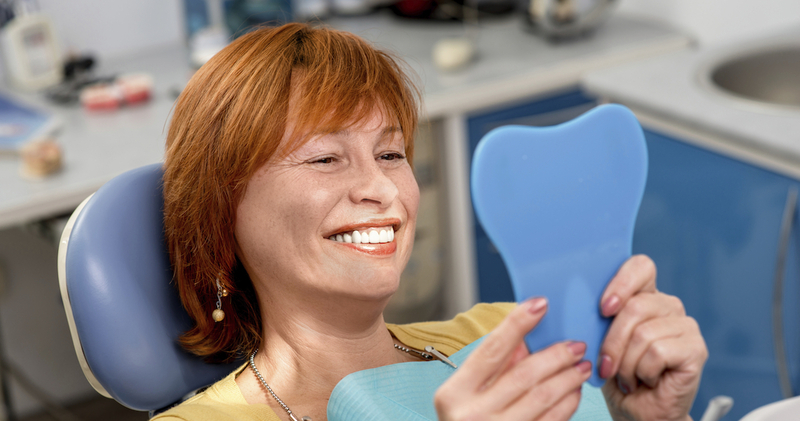 Many of the necessary steps in your dental implants procedure may be covered as individual services, allowing you to reduce the amount you must pay in out-of-pocket expenses. This can help lower your overall cost of dental implants with insurance. Before you proceed with the surgery, you should know the dental implants procedures steps to expect. When you arrive at the dentist’s office for your dental implants treatment, you will typically be in surgery for about two to three hours. The time needed to place your dental implants will vary depending on the type of procedure and any complications that may occur. Arrange for a ride home after your dental implants surgery; this can help you avoid any repercussions that may arise due to reactions to the anesthesia used in these procedures. Unlike other less permanent ways to replace teeth, dental implants offer a truly natural look and feel. This can allow you to enjoy your favorite foods and to smile with confidence in a wide range of social and professional situations. By working with us to restore missing teeth and regain your winning smile, you can derive the greatest dental implants benefits. In the interim period between your dental implants surgery and the attachment of crowns or bridges, you may need to take special care to avoid damaging the incision points and to prevent stress on the dental implants while they are settling into the correct position. Once your crowns, bridges or other dental appliances have been attached to the dental implants, however, you can brush and floss your teeth normally without worry. Caring for dental implants is as easy as caring for natural teeth. Your dentist is the best source of advice regarding the suitability of dental implants for your teeth. In most cases, these dental solutions can improve your appearance and provide you with greater self-esteem and self-confidence for many years to come. If you think you may be a dental implant candidate, talk to your dental implants provider in Allentown. How Long Does a Dental Implant Last with Proper Maintenance? The functional life of most dental implants is anywhere from 10 years to the rest of your life. Looked at from this perspective, your dental implants cost is a very affordable investment in your future. How long dental implants last is up to you and your hygiene, so make the most of your investment. If you are looking for dental implants in Allentown, we can help with innovative solutions to reduce your dental implants cost and ensure the most beautiful smile possible. Contact our experts today to learn more about your options and to schedule an initial appointment with us.